Riley’s Farm Theatre Company 2018 Season! I thank you from the bottom of my heart for you continued support and encouragement toward our young theatre troupe. Through the years, God has blessed our crew with loyal patrons, and by all of your help we have grown. What began as a select few shows performed in various months has evolved into a year around calendar, and we could not be more grateful for your assistance in helping us draw closer to becoming a fully functional theatre company. May God bless you as much as he has blessed us. Artistic Director of Riley’s Farm Theatre Company. Annual passes, Spring, Fall, and Platinum, are non-negotiable on dates. All dates included in each pass can not be substituted for dates by another pass. Each purchase of a pass does not secure a seat for each performance. Any dates missed for any particular show will not be credited or refunded to add to another show. You must call ahead or state on the date of purchase which dates you will be attending to pre-reserve your seat(s). Each pass allowances one date per show (Subject to being sold out). 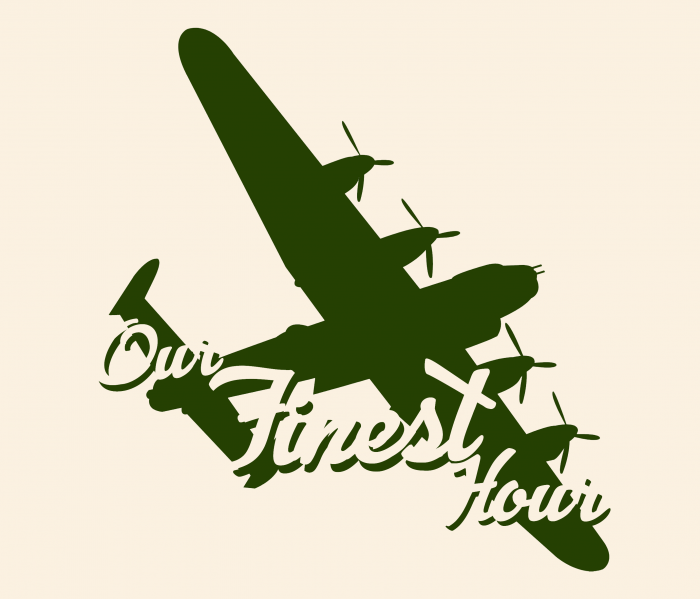 Includes the following 4 nights – Sherlock Holmes Murder Mystery, The Importance of Being Earnest, Prohibition, and Our Finest Hour. 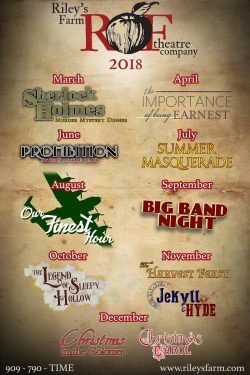 Includes the Following 6 nights – Big Band Night, The Legend of Sleepy Hollow, Jekyll & Hyde, Harvest Feast, Christmas in the Colonies, and A Christmas Carol. Includes all 10 shows at only $25 per!